From this tutorial you’ll learn how to clear cache saved with WP Super Cache plugin. First, let’s log in to WordPress Dashboard (Administration panel). Locate Plugin > Installed Plugins tab on the left and navigate to WP Super Cache plugin. Click Settings link to open its settings. The plugin has to be enabled for you to make changes in its settings. Please, activate WP Super Cache before applying changes to plugin settings. Now locate Easy tab and click Delete Cache to remove all the stored cache. Navigate to the Content tab, where you need to click Delete Expired button. 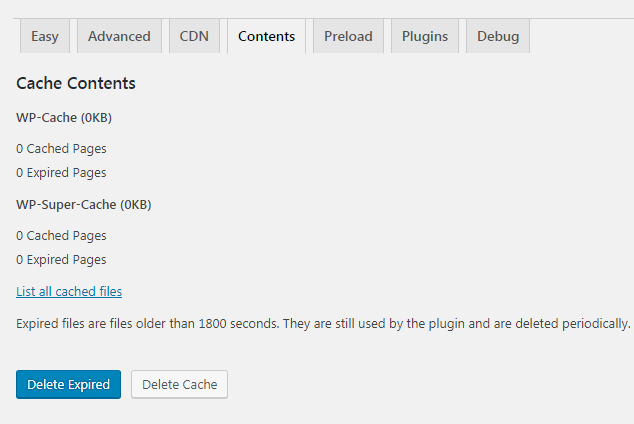 Now you can deactivate and delete WP Super Cache plugin from Plugins tab. This tutorial is based on Car Dealer Responsive WordPress theme.